HEALTHCARE REFORM (LAC) – Preventable disease and disability have a profound impact on the health of African Americans in the greater Los Angeles communities as well as the world. The National Congress of Black Women, Inc., Los Angles Chapter works to develop increased emphasis on disease prevention, health promotion and healthy lifestyles that will improve health outcomes, help improve quality of life and help to control health care costs. 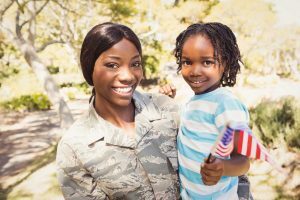 MILITARY FAMILY SUPPORT SERVICES (LAC) – Develop financial, spiritual, psychological and social supporting and mentoring relationships among the civilian community and military personnel and their families stationed in Los Angels and abroad. WOMEN’S ABUSE/DOMESTIC VIOLENCE – NCBW provides counseling and shares resources needed with women and children who are victims of domestic violence and abuse. COLLEGE FOR TEENS PROGRAM – College for Teens is a comprehensive youth developmental program model that is multifaceted. It consists of an after school tutorial and enrichment program, a career development/mentoring and life skills program, a summer college campus residency program, the C. Delores Tucker Study Abroad Program, and the Shirley Chisholm Civil Rights Journey.